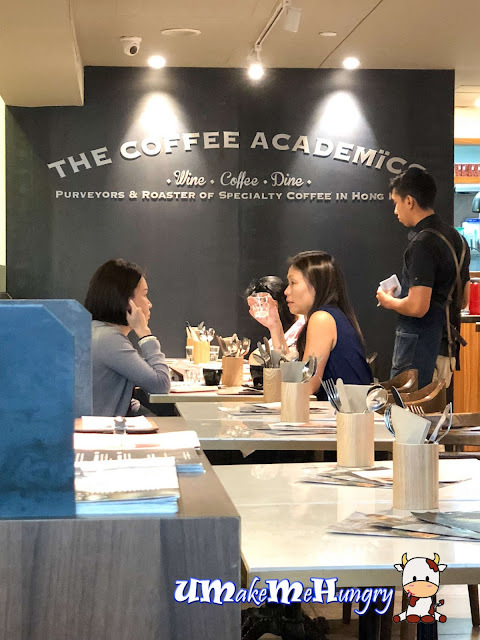 Being spoilt for choices in the Basement of Raffles City, we finally settled down with The Coffee Academics (TCA) on the 2nd round of walk there. TCA is located in the mall just right to our popular Tiong Bahru Bakery. We took a while to look through the menu as we could not decide which signature dishes of theirs to order. One of the recommended all day breakfast in the Menu. Upon looking at the dish, I was dumb founded and thought I order the wrong thing as it looks like a plate of raw food, salmon with beef Tatare. 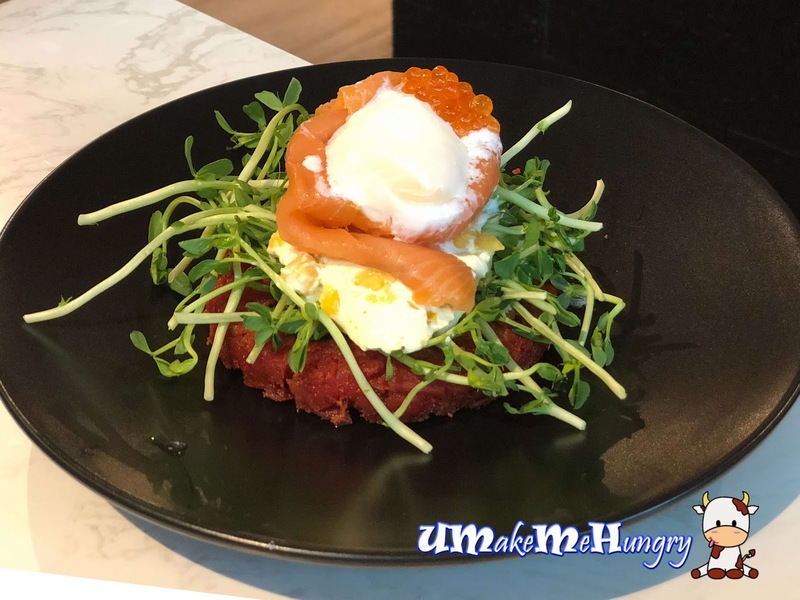 The breakfast set is special using beetroot and potato rosti with luxurious smoked salmon served with refreshing mango tzatziki, topped with a sous vide egg and ikura. Personally, I like this dish as it was not too filling to the stomach for our tea time yet giving us a satisfaction of the food. Love the riots of textures given in this dish from crispy rosti to the savoury mango tzatiziki and runny egg york, not forgetting the popping sensation from the ikura roes. 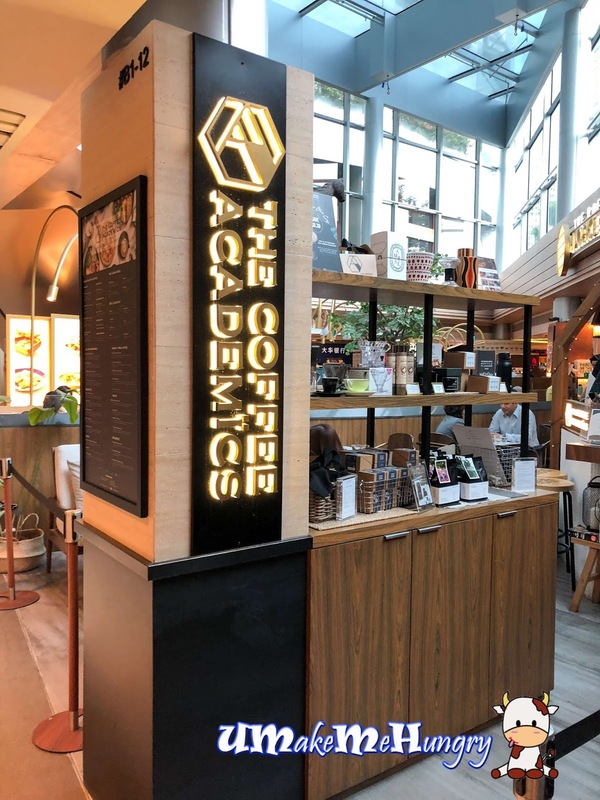 It's tough to dine and leave a coffee place without ordering a cup. Okinawa is one of the Signatures in the menu. It consists of Cappuccino with Okinawa brown cane sugar. 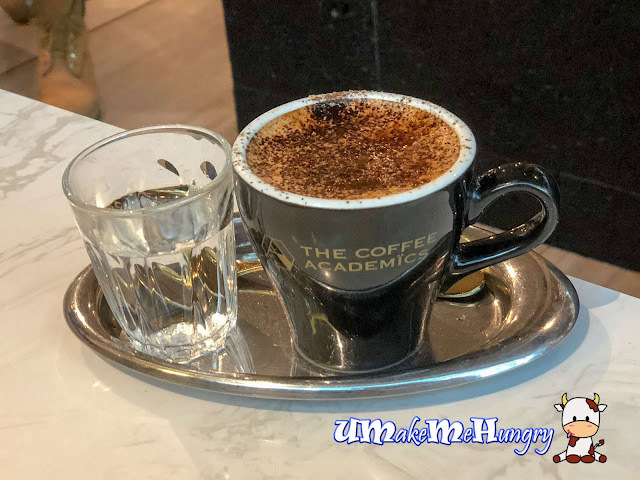 Coffee was served in a stainless steel tray with a cup of drinking water. 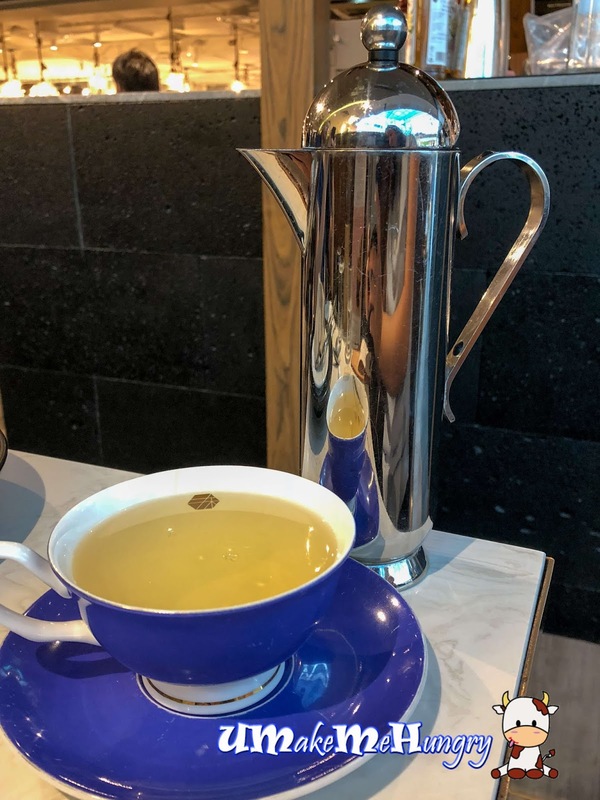 Love the fragrant Lychee smell from the tea but if there is not much taste of it when comes to drinking tea. Pretty good impression left by them. It is a good idea to come here for breakfast, tea or coffee.